I've dropbox v1.4.17 installed and I want to change the path from (...)/Dropbox to (...)/dropbox. I think until v1.2 this was done by changing dropbox_path field in the sqlite file ~/.dropbox/config.db. Now, this field is hidden inside the encrypted ~/.dropbox/config.dbx (security reasons (in this YouTube video), I guess). Anyone has a solution to this? I'm thinking about placing my dropbox folder in ~/.local/share/Dropbox and then linking that to the path I want to set. 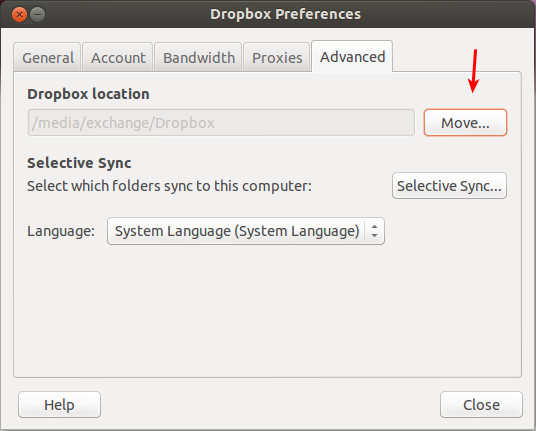 right click the dropbox tray icon and click Preferences, hit the Advanced-Tab and change the Dropbox Location to the new location.